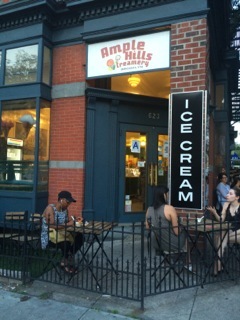 I hated to leave Brooklyn , not just because one of my kids lives there, but also because she had just introduced me to Ample Hills Creamery. Elizabeth took me there after dinner recently to get what some would say is the best ice cream in the city. I’m no expert, but it’s the best ice cream I’ve had in any city. When I dug into a cup of Nonna D’s Oatmeal Lace—cinnamon ice cream with pieces of a serious oatmeal cookie in the mix—I had one of those moments when an extreme taste sensation causes you to lose track of the rest of the world and its inhabitants for as long as that sensation lasts. 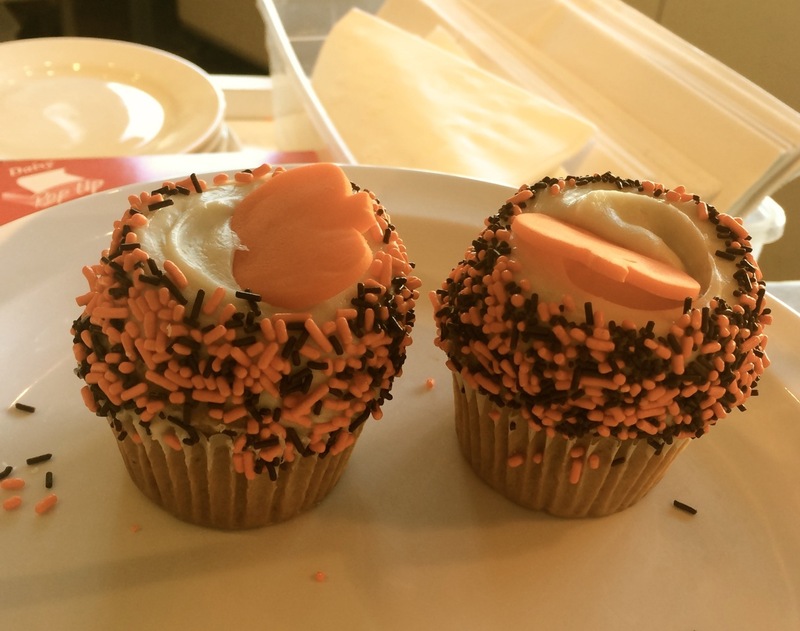 I have a reputation amongst my relatives for being highly susceptible to such dessert-related, out of body experiences. Elizabeth took a picture of me that evening in mid-bite, frozen, eyeballs rolling back in my head, and sent it to my husband Tom with the comment, “Here’s hoping nobody’s drowning!” My family knows all too well that if it were my watch, they’d be sunk. Ample Hills is a certified dairy plant, that is, they make everything from total scratch, that is, they pasteurize their own ingredients. The menu changes frequently, and you can watch them whipping up new concoctions while you stand in line obsessing over flavor choices. I’d hoped for Ooey Gooey Butter Cake but it was sold out, which led me to Nonna D’s, which led me to nirvana. Now back in L.A., I seriously miss my daughter. But my sadness is mitigated by the discovery that you can order Ample Hills online for shipping anywhere. I may have gone overboard—I ordered six pints. This means I will have to throw a party, which I probably won’t, which means I will be hospitalized for excessive production of dopamine due to overindulgence in Chocolate Milk and Cookies, Salted Crack Caramel, Peppermint Pattie, Sweet As Honey, plus Ooey Gooey and Nonna D’s. Join me I the ER. Order yours here. Have you ever tried Fairytale Brownies, Jessica? I order far more than I should. They’re the best brownies in the world and would probably go great with a scoop (or two…or three) of that ice cream. Oprah loved them so much that she featured them on her show several years ago…and Oprah is God, and she has spoken.